Parents vs. Their Celebrity Children – Genetics Has Always Played Well! We are all interested in digging deep into our favorite celebrities. Good looks and tempting styles are a game of genes. From appearances on newspaper front pages, candid shots, and countless paparazzi spying on you, inheritance brings wonders. 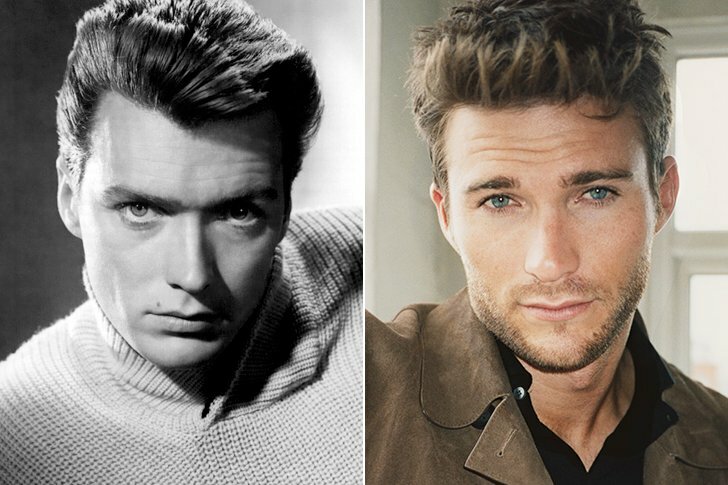 Clint Eastwood proved himself a heartthrob back in his prime time. Throughout the 2010s, Clint Eastwood showed off his charm with grizzled eyebrows and grey-white hair yet he was considered an outstanding actor and director. His performance in Dirty Harry and The Good, the Bad and the Ugly cannot be neglected. One fun fact about him is that this sure heartthrob does not clearly list down the number of kids he has fathered. But he is super proud of his one child, Scott Eastwood, who inherited the genes for being a heartthrob himself. The likeness between the two makes it nearly impossible to rank the better one! You don’t hear the name ‘Robert Pine’ these days on a random count. But Robert Pine was someone who was on television screens during the 70s and 80s reign. ChiPs and Lost in Space are his masterpieces which hold utter importance until now. Ask your parents! 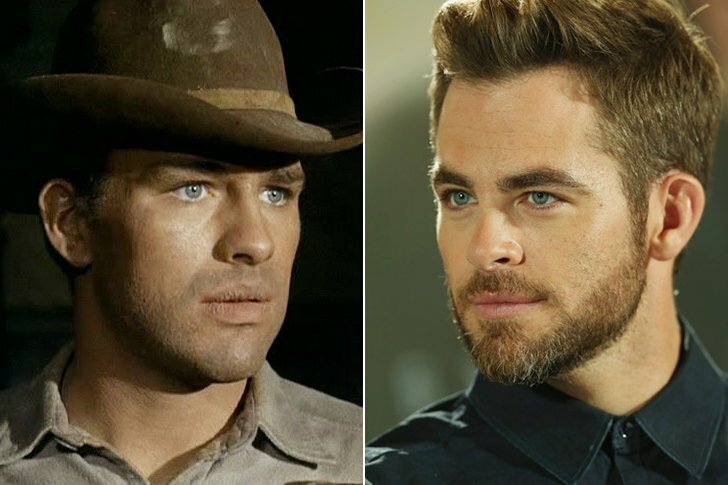 His son, the ever handsome Chris Pine, known as Captain Kirk from Star Trek, successfully inherited the sea deep blue eyes and a knife sharp jawline from his celebrity father. 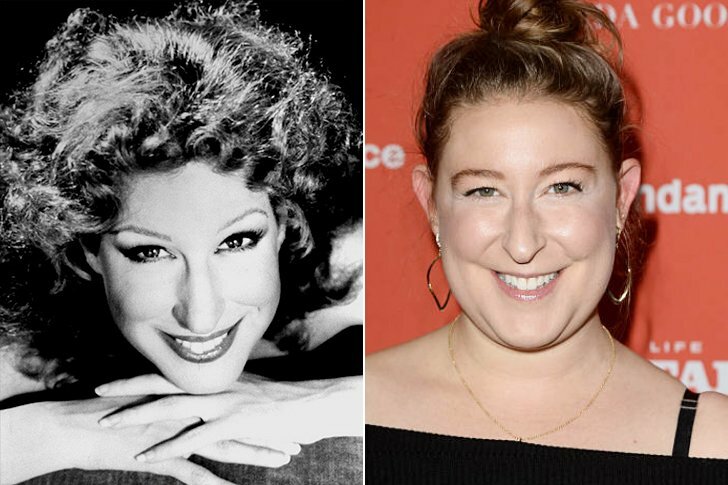 The very beautiful, the very gorgeous Bette Midler is known for her voice. Her singing and acting career helped her creating assets of net value of $230 million. This worth is enough to give her daughter, Sophie Von Haselberg an ideal lavish life. But the interesting part here is that Sophie is not dependent on her mother’s property. She holds a degree from Yale University. Although she has inherited smile and eyes along with acting skills from her mother, she has a huge benefit to pursue her career if the showbiz industry doesn’t accept her. 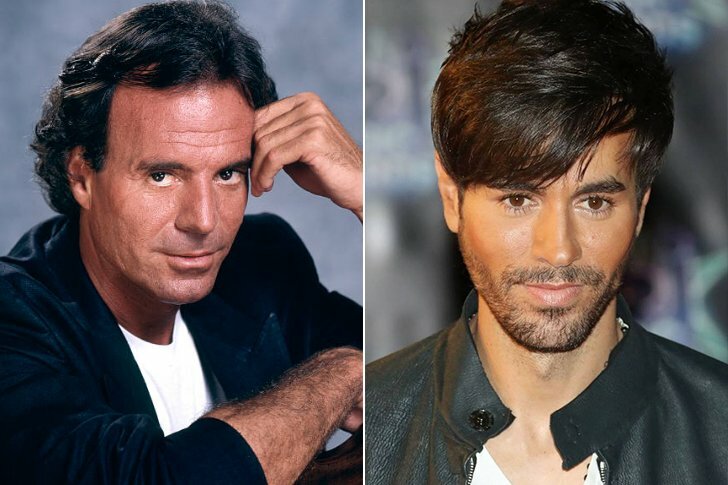 Julias Iglesias and Enrique Iglesias, this father-son couple is impossible to ignore. The urge to listen to their melodious voices is irresistible. Julio had been awarded a mighty place in Hall of Fame of Latin Composers and the most ideal Hollywood Walk of Fame. His son, Enrique has inherited not only the voice but also the tempting looks. Spanish gods! The era of the 50s and 60s was blessed to have an active and stunning actress. Janet Leigh is known for her famous role as Marian Crane in Alfred Hitchcock’s Psycho. Janet gave birth to two beautiful daughters in her two years marriage with co-actor Tony Curtis. 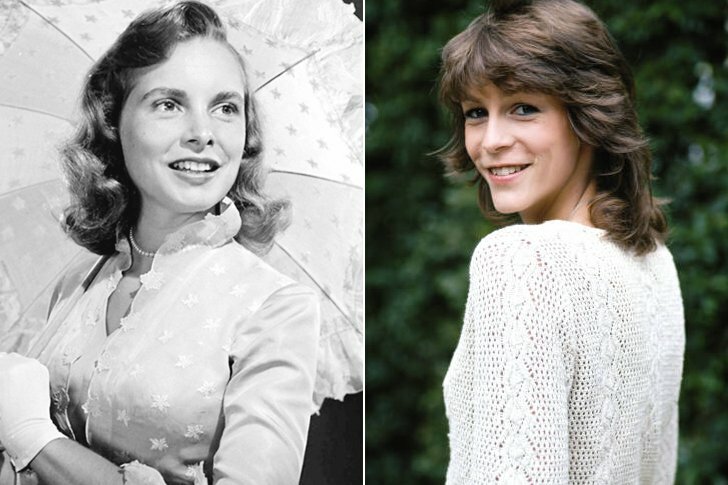 Her younger daughter Jamie Lee Curtis inherited her mother’s striking features and beauty. She also took her acting skills and appeared in her debut in 1978s Halloween. Both mother and daughter are known for their very well acting skills in horror movies.